CARL RUSSO/Staff photo. Windham's 4th. of July fireworks celebration was held Thursday night. 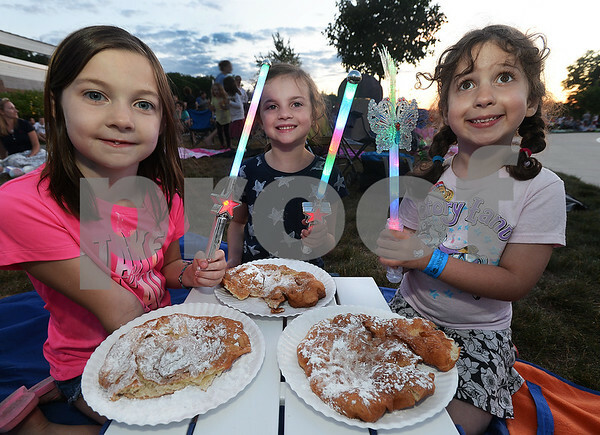 From left, Skyar Greenwood, 7 Summer Tower, 7 and Charlotte Feke, 5 enjoy their fried dough before the fireworks. 6/30/2016.